Twenty-seven-mile system for protecting Portland from Columbia River floods will get financial and technical help from the U.S. Army Corps of Engineers. In a major boost that could bring considerable federal resources this way, the U.S. Army Corps of Engineers on Thursday designated the Portland levee flood-control system for a New Start Feasibility Study. The federal agency will contribute $3 million over the next three years to study the 27-mile levee system that protects the area from Columbia River flooding, said Colin Rowan, program manager for Levee Ready Columbia. The Army Corps study will result in recommended projects to modernize the system, Rowan said. Then the agency could petition Congress to fund some of the recommended improvements. Usually the feds supply more than half the costs for the recommended projects that arise from the New Start program, often 65 percent to 80 percent of the costs, Rowan said. "This is a reinfusion of federal dollars to continue to support the levees," he said — probably the biggest federal contribution to the levee system since the 1930s and 1940s. After Hurricane Katrina and Hurricane Sandy, the federal government raised the bar on certification requirements for flood-control systems, which are needed to qualify for federal flood insurance. That prompted the formation four years ago of Levee Ready Columbia, a consortium of local, regional and state governments as well as business and environmental groups, to work together to bolster the system. Levee Ready Columbia first applied for the New Start program in 2016. Portland's levee system is largely the responsibility of four small levee districts that date back a century or so, funded by property owners within the Columbia River floodplain. It's generally acknowledged that the job of fending off Columbia River flood waters has grown too big for those small districts, especially when one considers the regional facilities protected by the levees, such as Portland International Airport and the Oregon Air National Guard base. The base houses fighter jets responsible for defending the entire West Coast. Levee Ready Columbia has been working on proposals to expand the funding base to maintain, improve and recertify the levee system. While federal money could make the financial load lighter on local taxpayers, the project plans to continue pushing a new governance structure for the levee system, Rowan said. "We still need to keep our foot on the gas on that," he said. Local matching funds will be required to be paired with federal money. In addition, local money is necessary for ongoing upkeep of the system. The latest idea is to create a water improvement district for all of Multnomah County that falls within the urban growth boundary. Property owners in that area would be taxed to share the burden with property owners in the floodplain, who would pay a higher amount. Marine Drive sits atop the longest and most important of the levees in the system. 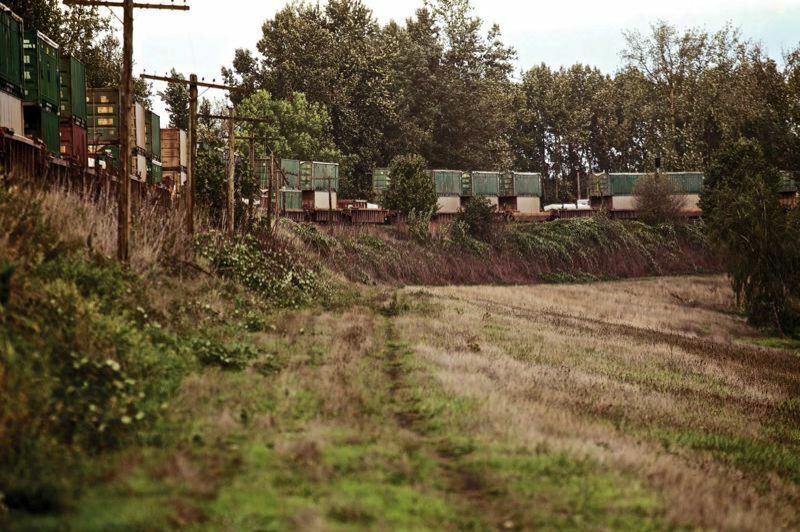 Perhaps the biggest improvement project facing the region is replacing the railroad embankment that serves double-duty as a north-south levee — the same one whose failure in 1948 led to the disastrous Vanport Flood.